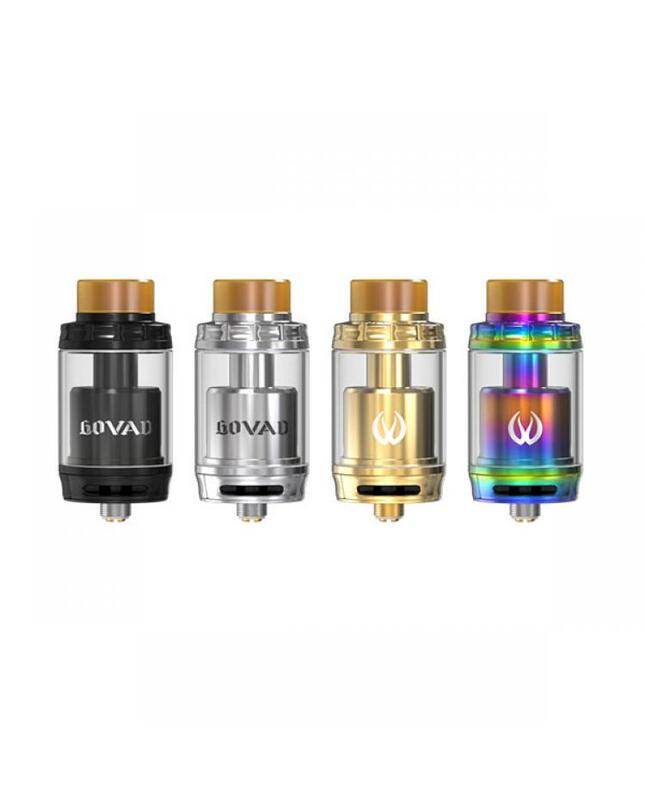 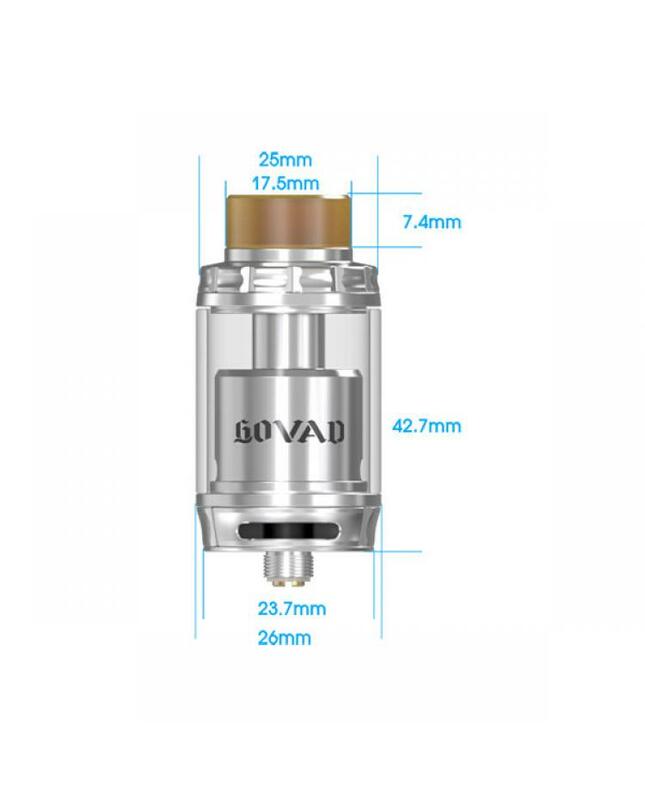 Newest vandyvape Govad RTA vape atomizer, made of stainless steel and pyrex glass, four fashionable colors available, can hold 2ml e juice if remove the 2ml block can hold max 4ml e juice. 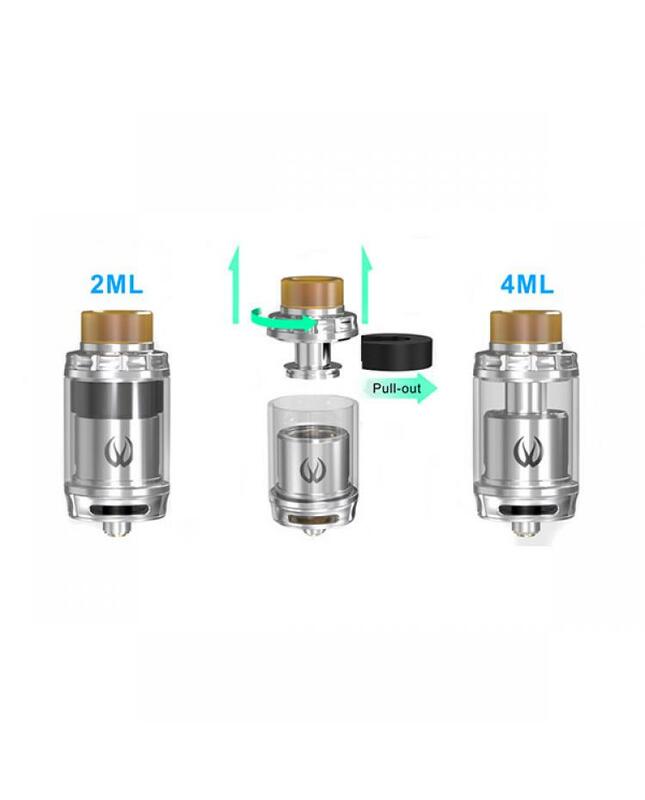 new Vandy vape RTA with bottom airflow and 3D side airflow can adjust the airflow to your preference easily, spring-loaded clamp style posts only fit for single coil design. 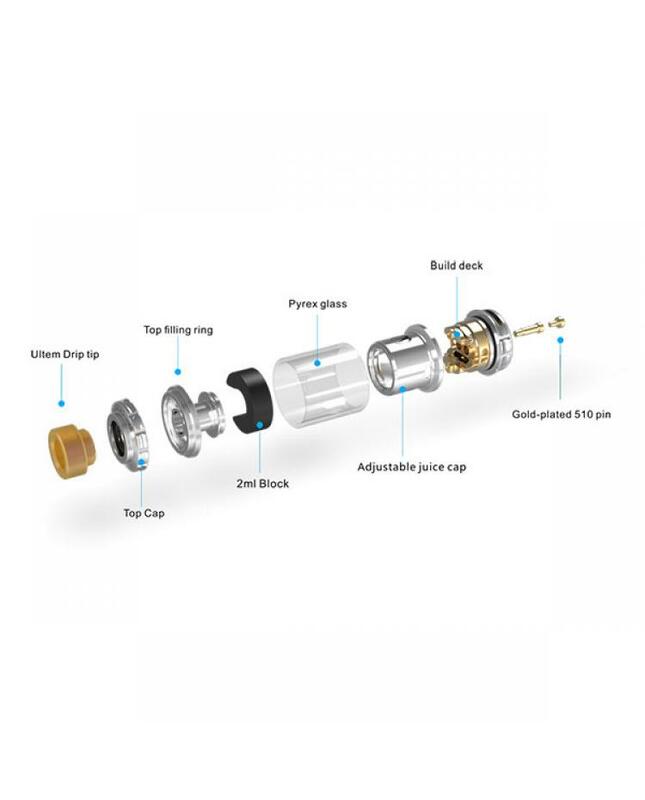 utilized 510 and most popular wide bore drip tips, all parts detachable, easy clean and maintenance.